Getting a higher credit score is about borrowing and paying your debt promptly. 3. Is It Good to Have High Credit Card Limits When Applying for a Mortgage? FICO is a credit-rating scale the Fair Isaac Corporation created to help lenders decide how creditworthy a prospective borrower is. The scale ranges from 300 to 850 points. The more points your credit history receives, the more likely you are to get approved for a loan such as a mortgage. Likewise, with high points, you have the privilege of paying lower interest rates on the cash you borrow. Generally, with a FICO score of 700, you get the second-best annual percentage rate on a mortgage. Rates can change daily. For example, on Feb. 22, 2013, the rate for a borrower with such score was 3.5 percent. Someone with a score between 680 and 699 would have qualified for a 3.6 APR. And the highest credit rating, between 760 and 850, would have gotten a loan at 3.2 percent. In times of sustained economic growth, the interest you pay on loans is higher than when the investment market becomes sluggish. You can lock in a mortgage rate with a home-loan pre-approval letter. 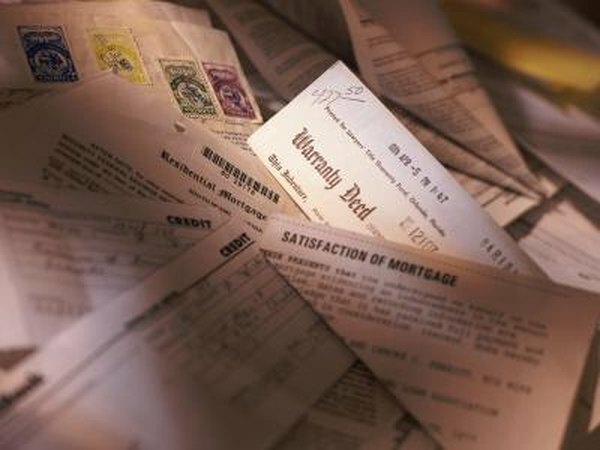 This letter, which spells out the mortgage terms, is usually valid for 90 days. If you don't find a house within that period, you must reapply for approval and the mortgage rate may change. Set up an appointment with a mortgage loan officer at a financial lender. Ask what documentation you should take to your meeting. At the very least, be ready to present bank statements, W2s, pay stubs and tax returns. You also need to provide your Social Security number and information on any revolving-debt balances such as credit cards. The loan officer will review your records and credit report to determine which mortgage interest rate you qualify for. To help raise your FICO score, use a major credit card but keep the balance well below your credit line and pay at least the minimum by the due date. Ideally, pay the full balance when it comes due. Also order your free annual credit report. If you find errors, contact the three major U.S. credit bureaus to ask for a correction.